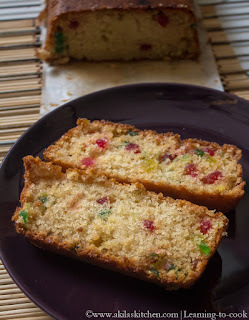 Eggless Tutti Fruitti Cake is one of my favorite cake in my childhood days. I love to eat tutti Fruitti from them. I adopted the cake from here and it came out awesome. 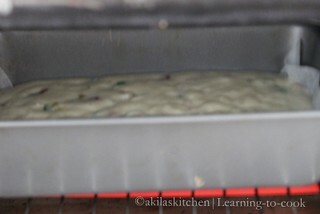 I could not wait for the cake to cool down as my children were after me and I was in a hurry to click the pictures. If the clicks were not good this the reason 😜😜. You can also check the below recipes if you like some eggless bakes. 1. 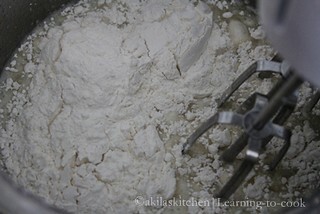 Preheat oven for 180 C. Sift the all purpose flour, baking powder and baking soda to get proper mixing. 2. 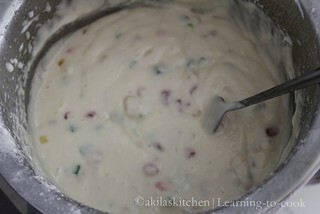 Add the beaten curd. 6. 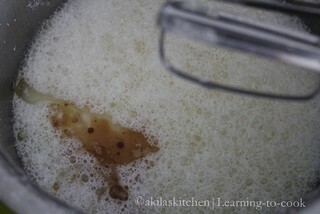 Add the vanilla essence. 7. Slightly mix them. Do not beat well. 8. 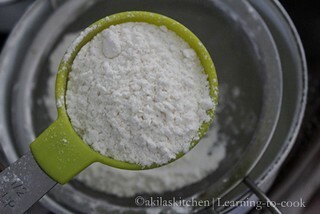 Add the flour and beat in low speed without any lumps. 9. 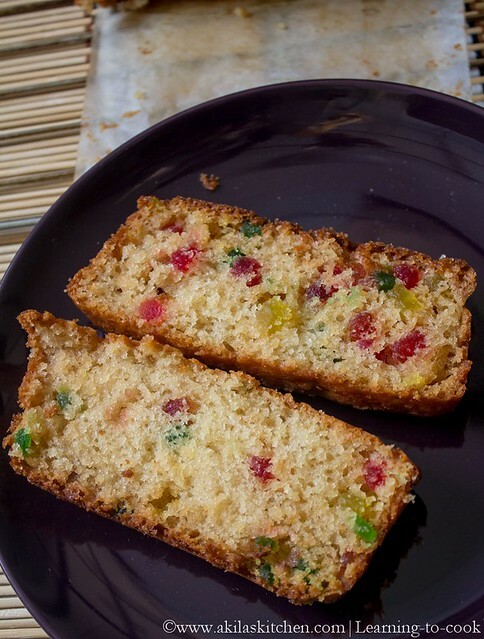 Add the tutti fruitti now. 10. 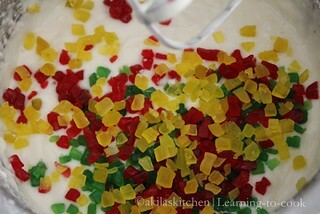 Mix gently with a spoon. 11. 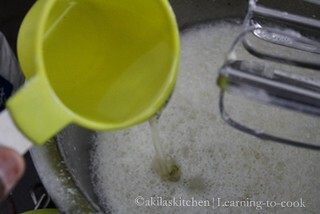 Take the pan. 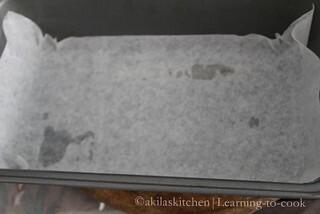 Either dust the pan with flour or use butter paper. 12. 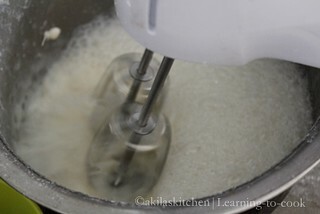 Add the cake mixture now. 13. 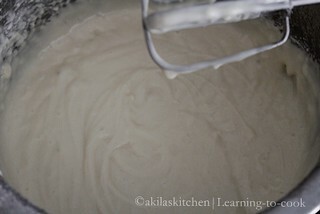 Bake it for 35 to 40 min. 14. 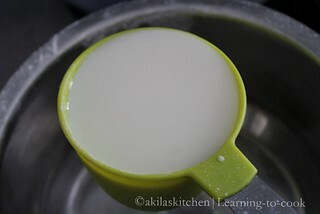 When the time reaches, insert the tooth stick and check whether it comes out clean. 15. Cool the cake on the rack. 16. 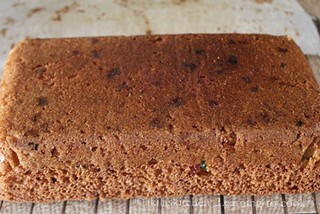 Cut them into slices and serve. 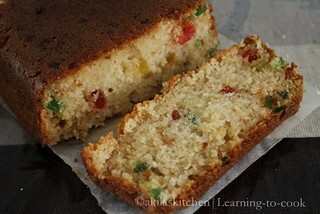 Yummy Eggless Tutti Fruitti Cake is ready. 1. 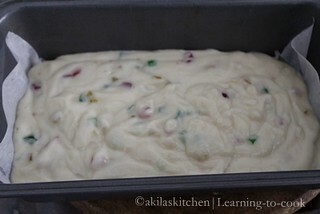 You can mix the tutti fruitti with the flour, so that, while getting baked, they wont settle down at the bottom. 2. 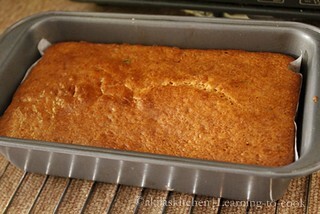 I followed blindly followed the recipe and came nicely. 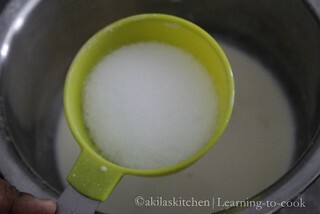 But as per the original recipe, the sugar quantity is 1 cup instead of 3/4th cup.